If you’ve never had much relation with the aquatic life, or you simply prefer to start viewing things fron the surface, The Snorkeling is your option! 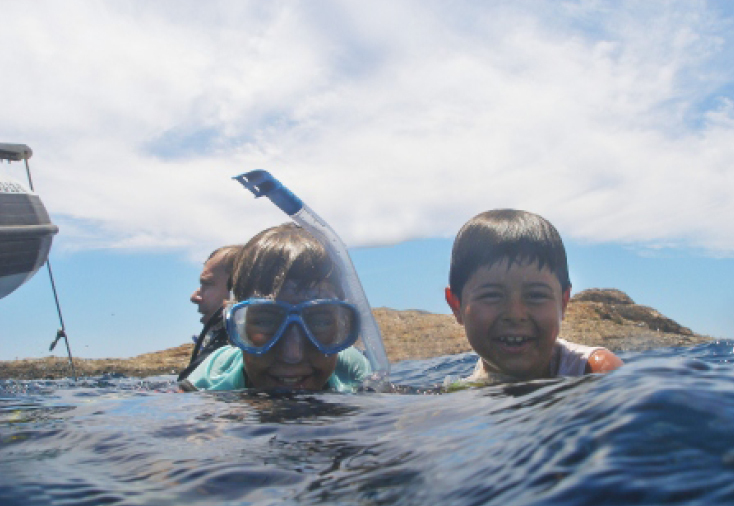 During the snorkeling trip, you will learn how to use the mask and the snorkel. Also, you’ll have the oportunity to experience your first dives doing apnea . It is an activity to do with the whole family, you just have to know how to swim. Come and get your first contact with the marine life! Structure: easy briefing and snorkel trip to the San Andres Island. Have a look to our sailing trips. They also includes snorkeling.